Prices for our fast and cheap VPN are not a secret. Any one can click to Premium VPN and see for himself. However you might have missed quite important option and perhaps idea. If you buy more, you pay less. This might be a way to get a cheap VPN it also might be a way to start your own business! Cheap VPN when you buy more! We think this rule should apply to all products and services. And if we think so, there is no way we would not keep true to this rule. What that means is that on single account you buy more VPN packages and when you do it will be cheap VPN. Every 2nd package will be 50% OFF. Before you start order second package please submit a ticket in your client area or contact us through live-chat. Our support team will guide you through the process. – If you want your second VPN package to be discounted, first one must be kept active. 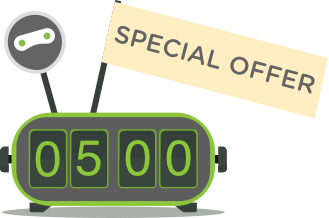 – Discount of 50% for your second VPN package is set for “Lifetime” as long as your first one is active. – Second VPN package should be the same as your first one or cheaper. – Other promotional discounts (like holidays sales) are excluded from this offer. If you want to buy more than 2 packages we will treat you as a reseller. For such users we have a bit different offer regarding cheap VPN. This means that if you get 5 or 10 or 15 packages on your account, they will all be discounted 25%. However, if you would like to purchase bigger bulk of VPN accounts, more than 20, please contact us first – we are sure we will be able to present even better offer for cheap VPN. And don’t forget!!! Our affiliate program is still alive! Simple link, pasted in the internet can bring us new customers and you cash.